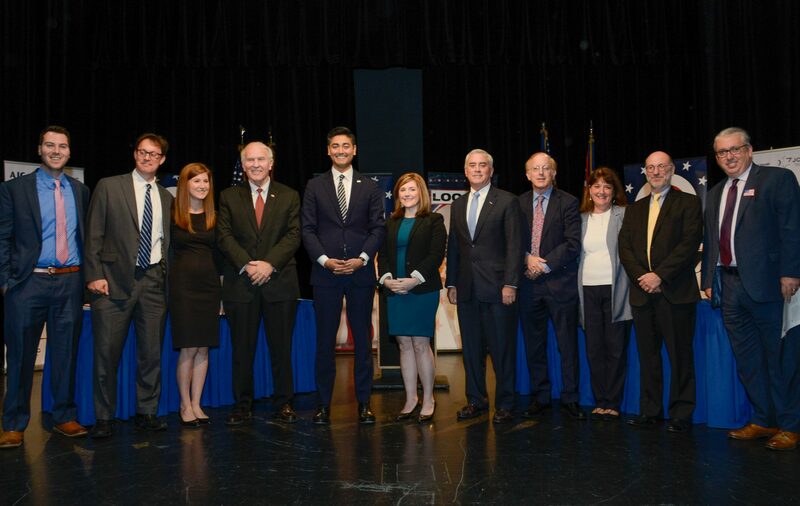 Candidates running for Ohio's 1st and 2nd US Congressional Districts participated in an election forum on October 16, 2018. 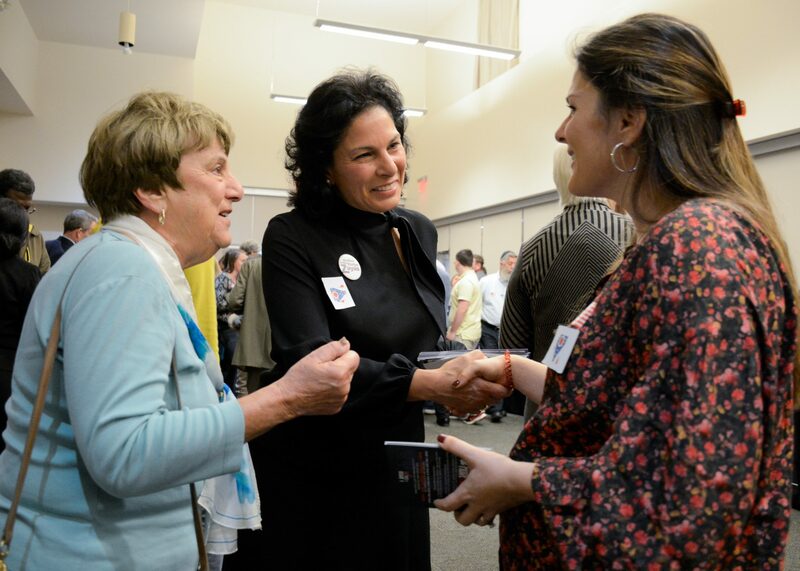 In October, candidates running for both local and national offices participated in an election forum and Candidate Meet-and-Greet at the Mayerson JCC. Your Vote Counts, presented by American Jewish Committee (AJC Cincinnati) and the Jewish Community Relations Council (JCRC), the public affairs arm of the Jewish Federation of Cincinnati, in partnership with Local 12, helped the Jewish community learn about the issues central to our diverse population. The program was intended to inform and guide voters as to key political and public policy perspectives. Your Vote Counts featured a Candidate Meet-and-Greet followed by a panel discussion showcasing Congressional candidates from Ohio’s 1st and 2nd Districts. 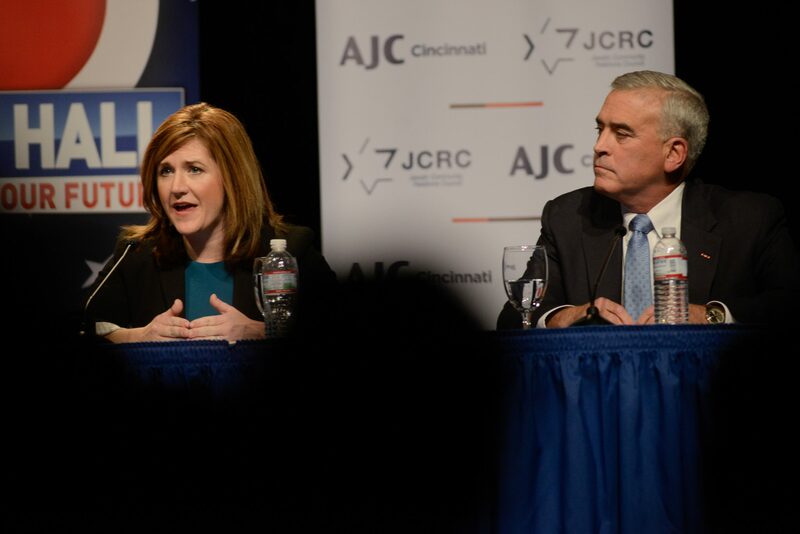 AJC Cincinnati and JCRC brought candidates together at the same table to answer pressing questions during an issues-driven, moderated dialogue. 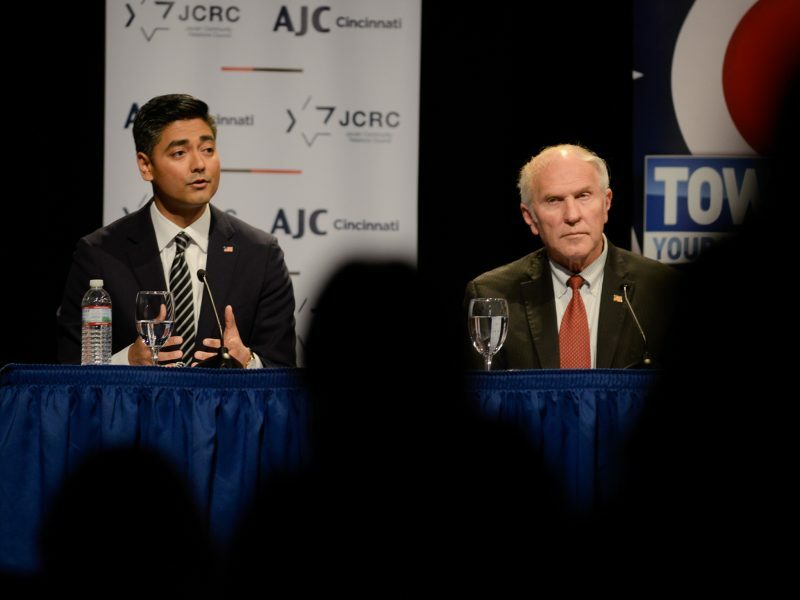 Panelists included incumbents Rep. Steve Chabot and Rep. Brad Wenstrup, along with challengers Aftab Pureval and Jill Schiller. Local 12 reporter Jeff Hirsh served as the moderator of this discussion, which was broadcast live on Local 12. The forum was also featured in prominent national and local news publications. 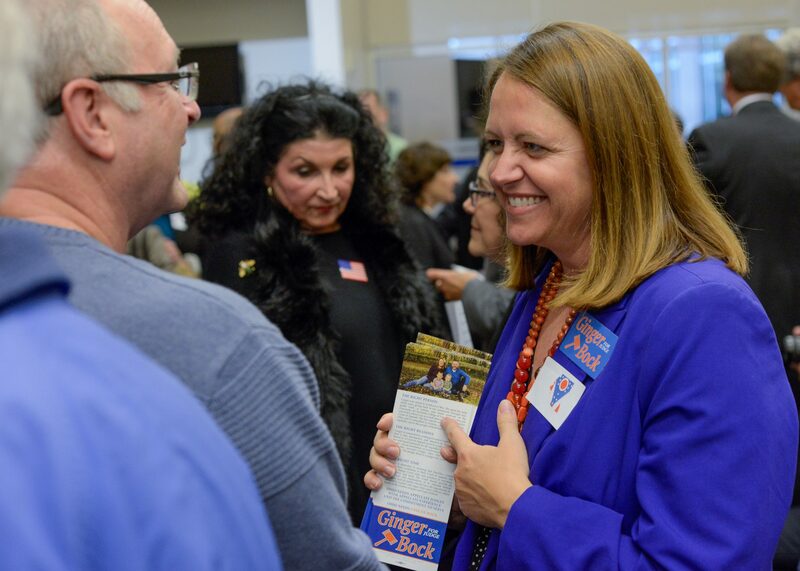 More than two dozen candidates who were vying for local, state, and national offices attended the Meet-and-Greet, including those running for U.S. Congress, Hamilton County Commissioner, Court of Appeals, Common Pleas Court and other contested races. It was a great resource for members of the Cincinnati community to learn about the issues and to enable them to cast their votes with confidence in November. AJC and JCRC are 501(c)(3) non-profit organizations. AJC and JCRC neither support nor oppose candidates for elective office. Candidates running for Ohio’s 1st and 2nd US Congressional Districts participated in an election forum on October 16, 2018. Candidates Jill Schiller and Rep. Brad Wenstrup, running for Ohio’s 2nd District, participated in the election forum. The Your Vote Counts Election forum was hosted by Jeff Hirsh and broadcast live on Local 12. 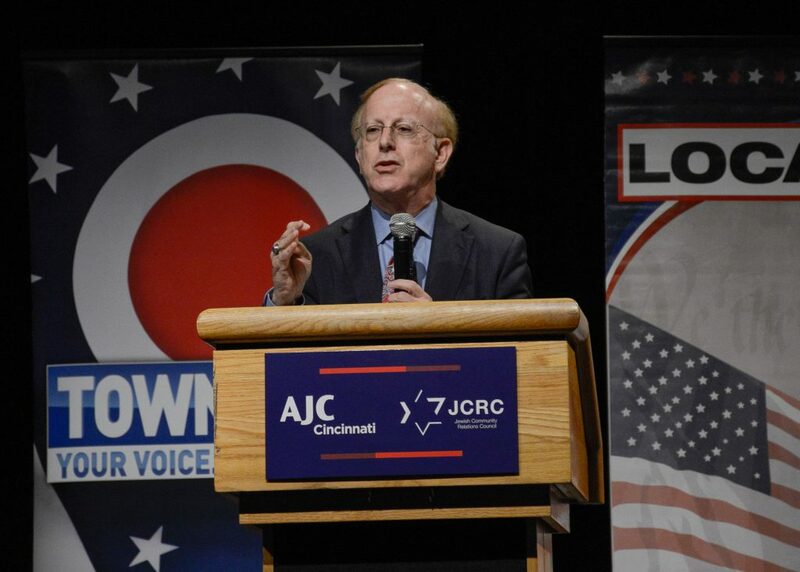 The 2018 Your Vote Counts Election Forum was presented by the JCRC and AJC Cincinnati, in partnership with Local 12. Candidates running for both local and national offices participated in a Candidate Meet-and-Greet on October 16 at the Mayerson JCC.